It's well known at this point that Princess/Genera Leia actress Carrie Fisher passed away late last year, making Star Wars: The Last Jedi her final performance as Leia in a Star Wars film. 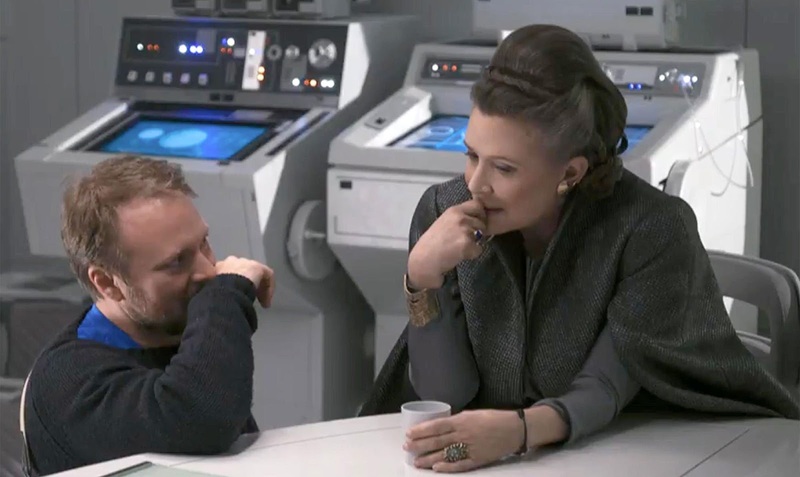 As part of Entertainment Weekly's continuing coverage of The Last Jedi, Anthony Breznican spoke with writer/director Rian Johnson and Poe Dameron actor Oscar Isaac about Fisher's legacy and Leia's role in The Last Jedi. "There’s no way that we could’ve known this would’ve been the last Star Wars movie she would be in, so it’s not like we made the film thinking that we were bringing closure to the character. But watching the film, there’s going to be a very emotional reaction to what she does in this movie"
"Poe is in some ways a surrogate son for Leia. But also I think she sees in him the potential for a truly great leader of the Resistance and beyond. (...) Poe’s arc is one of evolving from a heroic soldier to a seasoned leader, to see beyond the single-mindedness of winning the battle to the larger picture of the future of the galaxy. I think Leia knows she won’t be around forever and she, with tough love, wants to push Poe to be more than the badass pilot, to temper his heroic impulses with wisdom and clarity." "I don’t want to tip the hat too much, but I will say that the heat is immediately turned up on the Resistance. Everybody is put in a pressure cooker right away, and relationships crack and strain under that pressure. That was really interesting to me, the notion of putting this small army under a lot of external pressure and showing some of the results within the Resistance itself." You can the entire feature on Leia's role and Fisher's legacy in The Last Jedi here.